This is one of my first cakes. I was asked by a friend to make a baby shower cake. She wanted Seahawk and Halloween colors with a Halloween design. No problem! 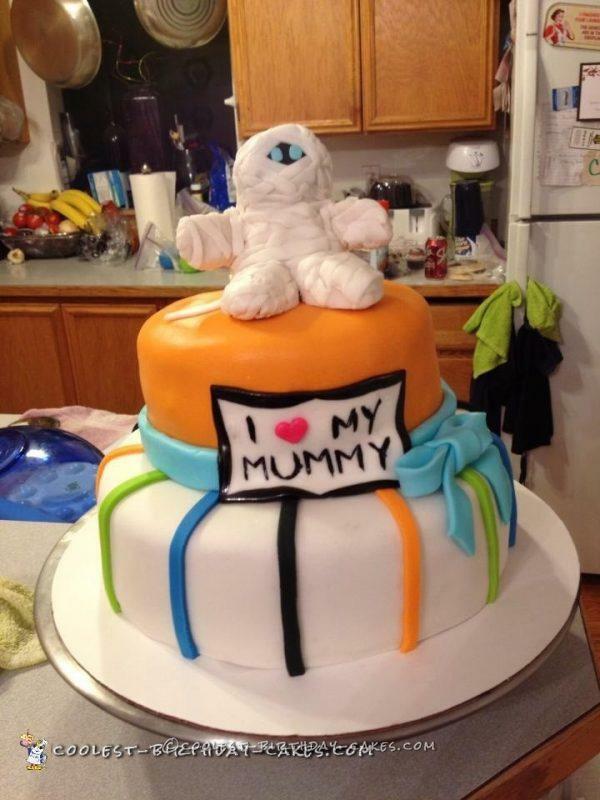 Took me a while to come up with something that I could incorporate both themes into one cake and not be weird. Not every day you need to make a cake with orange, black, blue and green. So my Mummy (My favorite little guy ever!) is made of rice crispy treat and my first rice crispy treat usage I may add. 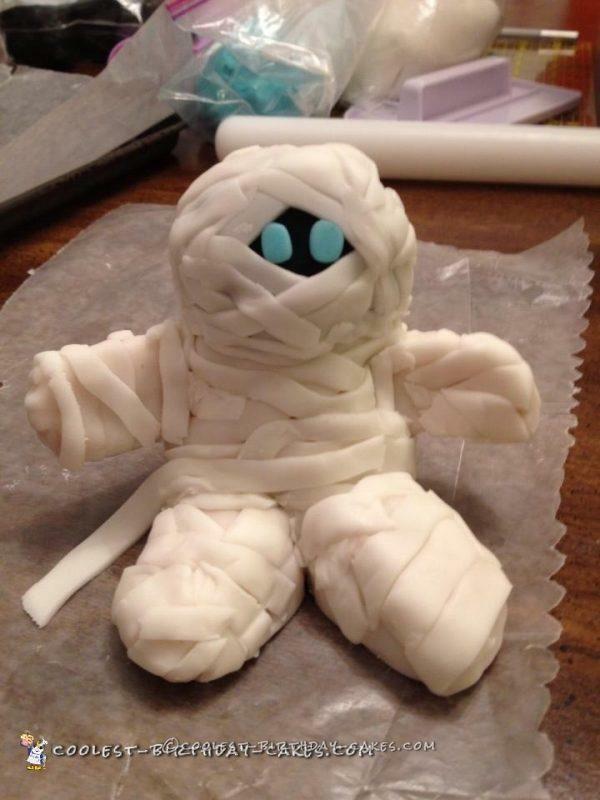 Each bandage is really cut and wrapped for the realistic mummy look. He was about 3” tall. As I was new to making cakes, I had a horrible thumb accident with this cake and there is actually a big tear/hole behind the sign. The Sign was an add on that I love and it totally made the cake. The flavors are Chocolate Cake with Chocolate buttercream and Orange Cream with Orange buttercream. Yummy.